Due to the overwhelming response from the news media and tips received from the public, investigators have identified the deceased child discovered on March 5, 2019, along an equestrian trail in the 3400/3500 block of Hacienda Boulevard in unincorporated Hacienda Heights. Today, the Los Angeles County Medical Examiner- Coroner’s Office confirmed the identity of the victim as Trinity Love Jones, FB/9 years old, a resident of Los Angeles County. Although the Coroner’s Office determined the death to be a homicide, the cause of death is being withheld. Investigators have detained two persons of interest in this case and they are actively continuing their investigation. As additional facts are established and verified, investigators anticipate that additional information will be available for release during a press conference later in the week. 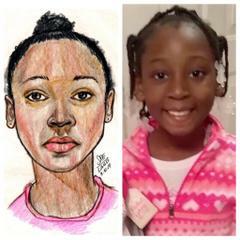 A photograph of the victim, and the sketch released at the press conference on March 6, 2019, are attached to this press release. Text & Email, Register for LASD Nixle messages: To receive more detailed, up-to-date information via E-MAIL and/or TEXT directly from the Los Angeles County Sheriff’s Department (LASD), sign up for "Nixle" alerts at http://www.Nixle.com and register for "LASD – Los Angeles County Sheriff’s Dept. Information Bureau (SIB)" and your local LASD station area. Or, to receive URGENT TEXT ALERTS ONLY, text your zip code to 888777. Standard text messaging rates may apply depending on your calling plan.